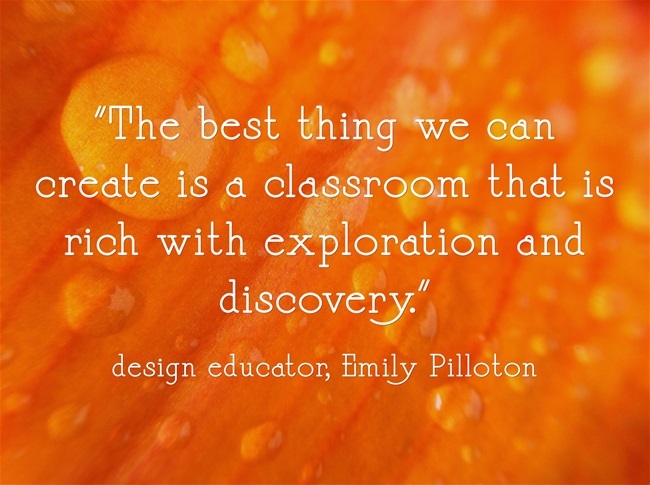 I love this quote and I think that is exactly what a classroom should be like! Although I still in school, one day my classroom will emulate this ideal. This entry was posted on November 27, 2014 by principalaim in Uncategorized and tagged design, exploration, maker movement, play.